Probably the most common complaint eye doctors hear from contact lens wearers is, "My contacts make my eyes feel dry." Dry eye syndrome is a common problem among contact lens wearers and non-wearers alike. But symptoms of dry eyes can be more pronounced if you wear contact lenses and your contacts start to dry out, too. Dry eye is a common cause of contact lens discomfort. Special contacts for dry eyes can help. Or you could try ortho-k, which involves wearing contacts at night; they reshape your eyes gradually so you can see during the day without any contacts at all. Fortunately, there are effective remedies for contact-related dry eye problems. If you suffer from dry eye symptoms such as irritated, "scratchy" and red eyes when wearing contacts, switching to a new type of contact lens or care product often can make your eyes more comfortable. The phrase "contact lenses for dry eyes" refers to new technologies that contact lens manufacturers have developed to reduce contact lens-induced dry eye (CLIDE) symptoms, which are the leading cause of people discontinuing contact lens wear. 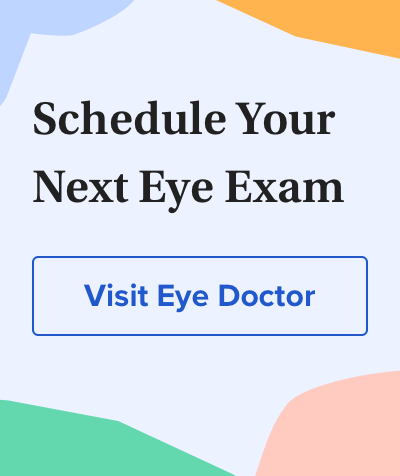 Fixing the problem starts with a visit to your eye doctor so he or she can evaluate the cause of your dryness symptoms and determine the best way to increase your contact lens wearing comfort. Sometimes people avoid talking to their eye doctor about contact lens-related dry eyes because they fear they'll be told they can't wear contacts any longer. But with today's variety of new contact lenses and care products, the need to discontinue contact lens wear altogether is very unlikely. Bausch + Lomb Ultra. These silicone hydrogel contact lenses feature MoistureSeal technology that provides unsurpassed comfort and vision all day compared with the leading silicone hydrogel lenses, according to the company. MoistureSeal technology enables Bausch + Lomb Ultra lenses to retain moisture for up to 16 hours, the company says. The lenses also are backed with a patient satisfaction guarantee: If you are not satisfied with them for any reason, simply return any unopened boxes within 90 days and Bausch + Lomb will provide a full refund. Dailies Total 1. Manufactured by Alcon, these single-use daily disposable contact lenses feature an innovative water gradient design: The water content is approximately 33 percent at the core of the lens and increases to greater than 80 percent at the front and back surface. Because of this unique design, Dalies Total 1 lenses provide "a silky-smooth surface for comfort that lasts until the end of the day," according to the company. CooperVision Proclear. These popular contact lenses for dry eyes are made of a high-water hydrogel material and contain molecules found naturally in human cell membranes that attract and surround themselves with water, keeping Proclear lenses moist and comfortable after 12 hours of wear, according to CooperVision. Proclear contact lenses currently are the only brand approved by the U.S. FDA to carry this label: "May provide improved comfort for contact lens wearers who experience mild discomfort or symptoms relating to dryness during lens wear." Proclear lenses are available in a variety of designs, including a daily disposable lens (Proclear 1 day), bifocal contact lenses and toric contact lenses for astigmatism. Extreme H2O. Marketed by X-Cel Specialty Contacts, Extreme H2O is another brand of soft lenses that many eye doctors prescribe to reduce contact lens-related dry eye problems. These high-water hydrogel lenses have unique water-binding properties that allow Extreme H2O lenses to retain virtually all their water content throughout the day, according to the company. Extreme H2O lenses are available in weekly and two-week disposable designs, including toric designs for astigmatism. Another option for people with dry eyes is scleral contact lenses. These large-diameter rigid gas permeable (GP) lenses vault over the entire corneal surface to help keep the front surface of the eye from drying out. Scleral lenses also are custom-made to fit even irregular corneas and often provide sharper vision than soft contact lenses. Brands of scleral contact lenses include Ampleye (Art Optical Contact Lens), Atlantis Scleral (X-Cel Specialty Contacts), iSight Scleral (GP Specialists) and Zenlens (Alden Optical). Here's a slightly different approach to contact lenses for dry eyes: Wear contacts only when you are asleep! Orthokeratology (or ortho-k) is a contact lens fitting technique where specially designed gas permeable contact lenses are prescribed for overnight wear only. While you are asleep, the ortho-k lenses reshape the front surface of your eyes (cornea) and correct nearsightedness and other refractive errors so you can see clearly during the day without glasses or contact lenses. By eliminating your need to wear contact lenses during the day, ortho-k may reduce contact lens-related dry eye symptoms. Not all contact lens cleaning, disinfecting and storage products — collectively called "contact lens solutions" — work well with all contact lenses. In particular, many silicone hydrogel lenses require specific lens care products to optimize their comfort on the eye. Talk to your eye doctor about which contact lens care products you're using, and bring the bottles to your visit. Are You Sensitive To Preservatives? Another issue with contact lens solutions, even if you're using the correct products, involves multipurpose solutions. While these single-solution products are very convenient, multipurpose solutions contain preservatives that occasionally can cause problems. Some contact lens wearers can develop intolerance to preservatives in multipurpose solutions, which can mimic contact lens-related dry eyes. If your eye doctor suspects you are sensitive to the preservatives in your contact lens care products, he or she may recommend switching to a preservative-free, hydrogen peroxide-based lens care system. Another way to avoid sensitivity problems with contact lens solutions is to wear daily disposable contacts. These lenses eliminate the need for lens care products, because you simply discard them after a single use. Sometimes contact lens-related dry eyes can be solved with occasional use of eye drops known as comfort drops, rewetting drops or artificial tears. Though these lubricating eye drops typically provide only short-term relief of contact lens dryness symptoms, some drops may be more effective and long-lasting than others, depending on the specific type of dry eyes you have. Your eye doctor can suggest the best brands for you after examining your eyes. If using lubricating eye drops is your preferred approach, it's very important to make a product choice in consultation with your eye doctor. Many over-the-counter eye drops are not intended for use with contact lenses, and not all lens-compatible drops are compatible with all lens materials. Your eye doctor also can tell you about other possible remedies for contact lens-related dry eyes, including eye vitamins, flaxseed or fish oil supplements and prescription eye drops for dry eye relief.